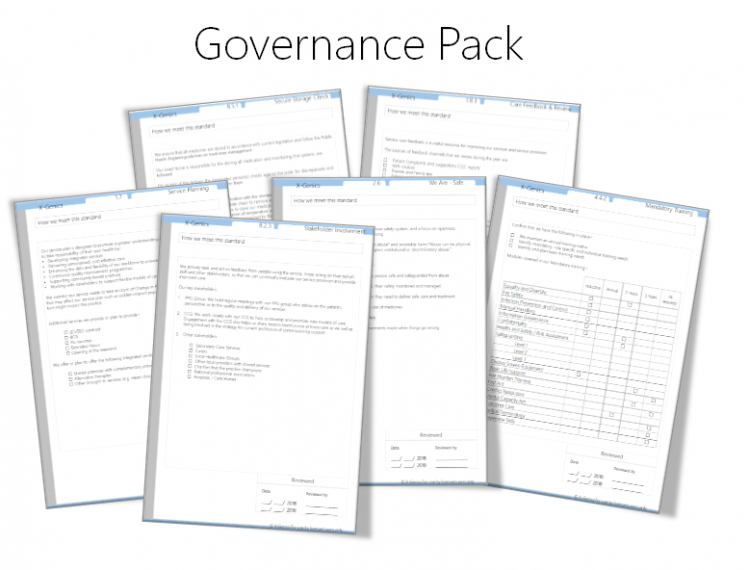 The Governance Pack will save you days and weeks of time in drafting your Governance Framework. Gives you standardised documents so you don't have to spend hours creating custom documents. 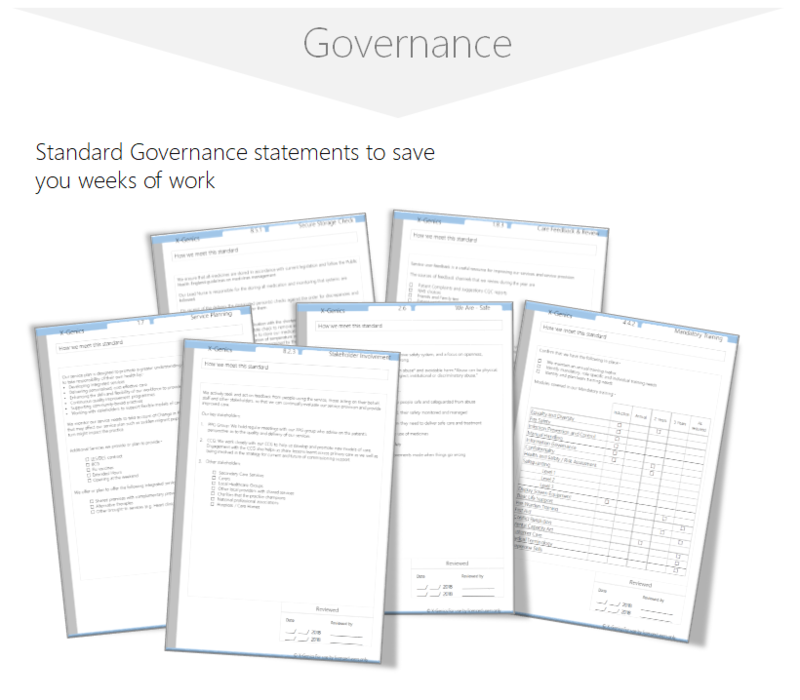 As a Premium Folder user, you already have the latest index and FREE access to £149 worth of online Evidence Templates, now with the Governance Pack, you will be able to complete over 70% of your folder in record time. 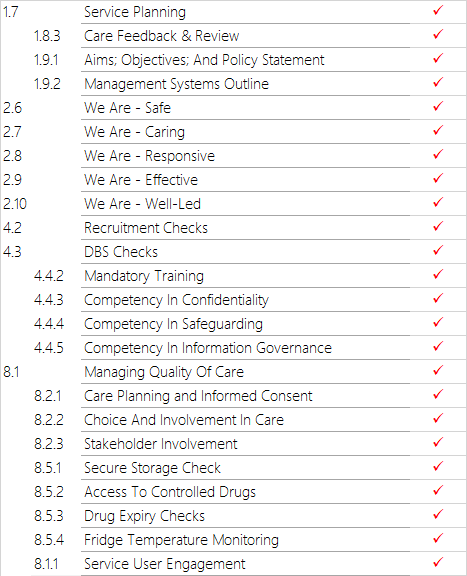 Preparing this Governance section is laborious and will typically take several weeks to put things together as you try and fit this into your normal routine. This standard document pack will help you achieve 70% of your preparation leaving you to just add organisation specific information and put all your evidence in one place. You can always opt for customisation at a later date, and we'll give you credit for having purchased this pack, so you never lose out.